Dawn of the Planet of the Apes - No Extended Cut? Back in July 2014, director Matt Reeves confirmed that an Extended Cut of his Dawn of the Planet of the Apes was planned and that he wanted to put 5 minutes of "cool scenes" back into the movie after they were removed from it shortly before the theatrical release (we reported). Now, since the official announcement bulletin for the upcoming US home video releases is out, there's no hint that such a longer version is included on any of them. There are some deleted scenes in the bonus section, though. The big question now is whether that Extended Cut is just well-hidden, completely scrapped or just postponed for a double dip later on such as it is planned for the X-Men: Days of Future Past. Also, both movies come from 20th Century Fox who were very vocal about the prolonged mutant film and are much more coy regarding the apes movie at the moment. 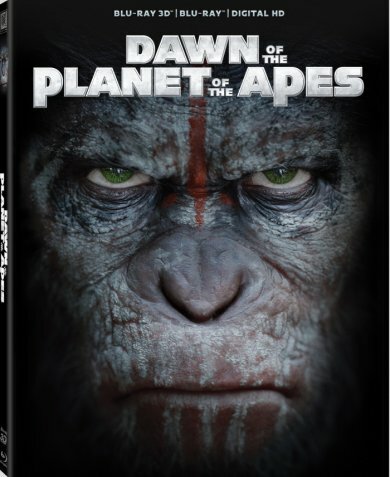 If you're already satisfied, you can order the theatrical version of Dawn of the Planet of the Apes at Amazon.com.